The famous pilgrimage site Mariazell is situated in the delightful Mariazell region. The JUFA Family Hotel is located in the Sigmundsberg district, right under the Chapel Hill and offers a beautiful view towards the Mariazell pilgrimage church. The ski- & summer excursion region Bürgeralpe is in the immediate proximity, as well as the beautiful Erlaufsee. Hiking and climbing routes, skiing, swimming pools, bowling, soccer field – the JUFA Hotel Mariazell-Sigmundsberg and its region offer variety and pure nature! 44 cosy rooms decorated with plenty of wood and bright colours ensure quiet, cosy moments. A pleasant sun terrace becomes a meeting place for social get-togethers, during the day, as well as in the evening. If you appreciate a romantic atmosphere, sit around the camp fire and roast twisted bread, together with friends and family – the fresh air and sparkling stars ensure a good night´s sleep! Leave the everyday hustle and bustle behind you and restore your energy The best place to do this during a family holiday is quite simply in the hotel´s own sauna and indoor swimming pool – a particularly popular highlight for young and old! Discover the open-air classroom – this is where you can excercise your gray cells. Or let off steam with the kids on the large meadow playground at theedge of the forest, surely, you will experience one or two adventures here. The family hotel also offers a spacious outdoor area with a volleyball and football field, as well as a great flying Fox-device Inside the hotel, there’s a games room with a pool table, table football and dartboard. The 2 bowling alleys allow you to knock down “all nine”, together with friends and family! The JUFA family hotel Mariazell-Sigmundsberg is also located directly on the popular pilgrimage route, Via Sacra, which covers the country along varied routes. In the winter, a toboggan run is only a stone s throw away. With its 8 modern equipped rooms, this JUFA hotel is also ideal as a seminar hotel, for seminars, workshops and events. The JUFA Hotel Mariazell – Sigmundsberg is located in the district of Sigmundsberg in St. Sebastian very close to the Bürgeralpe mountain and Lake Erlauf. It is a perfect base from which to embark on infinite adventures and can be reached easily by car. Guests can make use of the free parking spaces for cars and busses. Travelling from the south: From Graz on the S35 to Bruck an der Mur, in Kapfenberg take the B20 towards Mariazell via Seeberg to Rasing. Turn left into the JUFA Hotel directly after the entrance to the village of Rasing. Travelling from the north: From Vienna on the S306 via Semmering/Mürzzuschlag, take the B23 to Mürzsteg via Niederalpl to the Wegscheid intersection, then take the B20 towards Mariazell to Rasing. Turn left approx. 50 metres before the entrance to the village of Rasing. From Vienna via the A1 westbound motorway to St. Pölten, take the B20 towards Mariazell to Annaberg, Josefsberg. Take the Mariazell ring road towards Kapfenberg to Rasing. Turn left approx. 50 metres before the entrance to the village of Rasing. Travelling from the west: From Germany/Salzburg/Linz on the A1 to St. Pölten, take the B20 towards Mariazell to Annaberg, Josefsberg. Take the Mariazell ring road towards Kapfenberg to Rasing. Turn right approx. 50 metres after you have reached the end of the village of Rasing. Visit over 50 attractions and programs for free! Whoever is keen to discover, try out and take full advantage of the many wonders on offer in the Mostviertel region will most certainly benefit from the complimentary “Wild Wonders Card”. Ice skating on the rink at the Mariazell Tennis Club is a great experience especially for children. The ice rink is a 10 minute walk from the centre of the town. You do not have any ice skates? This is not a problem. You can hire skates from the buffet. Toboggan fans are certain to enjoy the excellent conditions at the Mariazell Bürgeralpe ski resort. The 1,700 metre long toboggan track runs from the Bergstation (mountain station) directly to Mariazell and finishes at the cable car Talstation (valley station). The Mariazeller Land is a true cross-country paradise: Countless excellent cross-country ski trails, such as the St. Sebastian trail, the Walster trail, the Oberwegscheid trail and many more form a varied cross-country ski circuit. A total of 53 km leads winter romantics and sports enthusiasts through white winter landscapes. The JUFA Hotel Mariazell – Sigmundsberg provides an expert service for businesses wishing to hold seminars, training events, team meetings or workshops that are run over several days. 3 seminar and workshop rooms with natural light measuring from 57m² to 123m². The JUFA Hotel Mariazell – Sigmundsberg is situated in a delightfully picturesque location beneath the Sigmundsberg Chapel close to the town of Mariazell, a famous place of pilgrimage. You can make use of this special “place of energy” with one of the oldest basilicas in Austria as a place togenerate ideas and to gather new inspiration during your conferences. We are available anytime to answer any queries you have on +43 (0)5 / 7083-706 or you can also contact us by email. 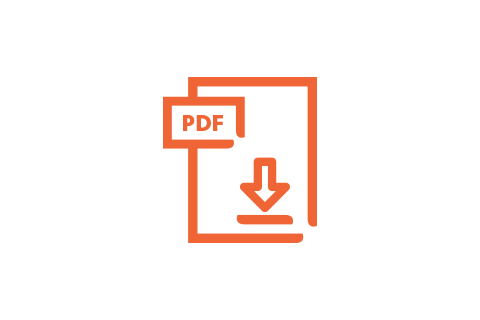 Find out more about our seminar facilities, including information on room dimensions, facilities, technology and seminar packages. "Als Gruppe immer wieder gerne "
"Hotel mit den besten Mitarbeitern"
"Freundlich, schön und gut :-)"
"Ein schöner Ort für ein Treffen mehrerer Familien"
"Wir sind Jedes Jahr dort und immer zufrieden"
"Optimaler Rahmen für meinen Zweck! " "Sehr zufrieden, zum Wohlfühlen "
Are you hoping to spend a week long sports holiday in Styria? Would you like to jump straight in the swimming pool in the mornings? Do you want to really work up a sweat on your family holiday? The JUFA Hotel Mariazell-Sigmundsberg has first-rate facilities, including an on-site swimming pool, two bowling alleys, an outdoor area with volleyball court and football pitch, table tennis, billiards and so much more. There is also a wide range of activities on offer in the great outdoors. Whether taking part in an action-packed sessions at the „Bujaka Skyline” high ropes course, hiking and mountain biking in the Upper Styria mountain region, skiing or enjoying a stimulating snowshoe hike in the enchanting winter landscapes of the Bürgeralpe ski resort: The JUFA Hotel Mariazell-Sigmundsberg guarantees that you will keep fit even on your holiday. For further information, please contact the JUFA Hotel directly. The team will be happy to provide you with information! A strong team spirit and a positive working atmosphere cannot always be taken for granted. However, the ability to develop trusting working relationships can be learned. 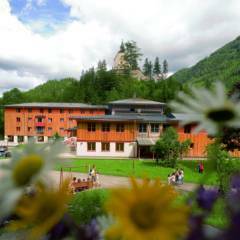 The JUFA Hotel Mariazell – Sigmundsberg has the perfect facilities to suit your requirements, whether you are supervising a programme for school-aged children or running training activities for an association or a company. Students attending field trips can enjoy an engaging social experience and will learn a great deal about team spirit in the process. Staff attending company outings and training courses at the JUFA Hotel Mariazell – Sigmundsberg will also find that their motivation levels, communication and team skills are enhanced. 8 seminar and workshop rooms, an open-air classroom with biotope, an outdoor area, a toboggan run, 2 bowling alleys and an outdoor swimming pool are available for you to use, alongside a wide range of activities for you to enjoy in the great outdoors. The many sightseeing locations that are within easy reach offer a range of fantastic experiences and the excellent facilities at our hotel ensure that school outings and trips organised for companies and associations are truly memorable. Looking for tips for group excursions? The many activities and attractions in close proximity to the JUFA Hotel Mariazell – Sigmundsberg mean that you will be spoiled for choice, for example the Mariazell Bürgeralpe ski resort, the Pirker Gingerbread Factory, Lake Erlauf, the Mariazell Basilica, the “Bujaka Skyline” high ropes course, the Eselreich Donkey Experience, mountain go-karting, the sports centre of JUFA Mariazell – Erlaufsee Sport-Resort, the Styria Llamas and much more. The hotel manager Martin Legat and his team are available to answer your questions at any time! Im interested in the offer "JUFA Hotel Mariazell – Sigmundsberg" in the .